The 10th Year of Burnished Silver Eagles Has Arrived! 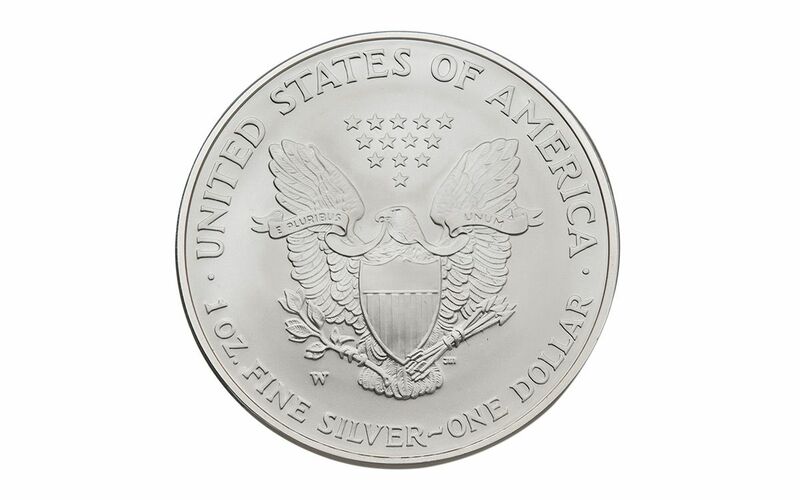 Since 1986, the United States Mint has released Brilliant Uncirculated (BU) condition bullion Silver Eagles every year. 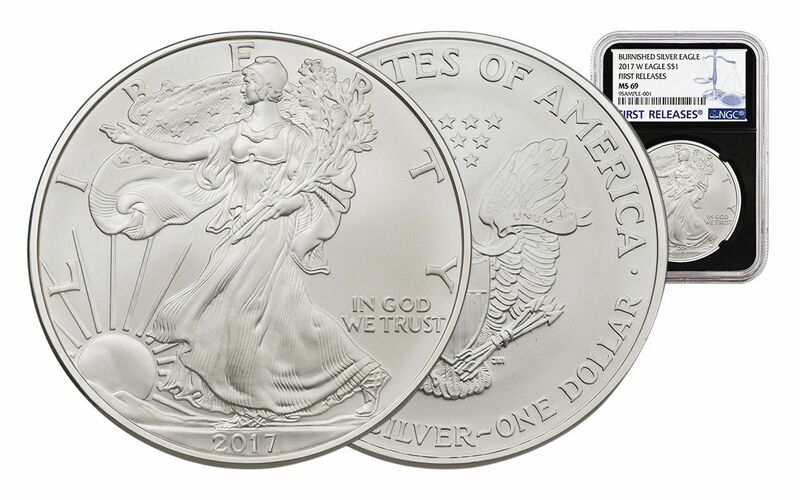 And, with the understandable exception of 2009, annual Silver Eagle Proofs have always followed close behind. However, there's one type of Silver Eagle that has a far fewer collective mintage than either one above -- the Burnished Silver Eagle. Struck from specially burnished planchets, these Silver Eagles are perennial collector favorites -- that is, when they see the light of day! First introduced in 2006, the Burnished Silver Eagle saw three years of production before taking a pause in 2009 and 2010 due to The Great Recession. Minting resumed in 2011 and has been going strong since. Now, 2017 brings the 10th annual release of the Burnished Silver Eagle, just in time for the U.S. Mint's 225th anniversary! A Magnificent Matte Finish Meets Legendary Design! This 2017 Burnished Silver Eagle features the classic combination of Adolph A. Weinman's Walking Liberty and John Mercanti's heraldic eagle -- a stunning pairing that BU and Proof Silver Eagles have featured for decades. However, the artisans at the West Point Mint add a special dimension to this time-tested standard. Each one ounce blank of 99.9% pure silver is specially burnished, giving the finished Silver Eagle a smooth matte finish. In addition, the coin is also struck with a special "W" mintmark, unlike the BU Silver Eagle. It all comes together in a spectacular coin that your collection can't be without! Awesome Additions Make This Eagle Irresistible! Your coin will be graded Mint State-69 (MS69) by Numismatic Guaranty Corporation (NGC), a distinction that means your almost-flawless Burnished Silver Eagle will showcase an impressive full strike and indistinguishable imperfections -- well above and beyond the quality of the vast majority of coins in the series. In fact, many collectors prefer the MS69 grade since it certifies recognized collector status for just a small premium above ungraded coins. 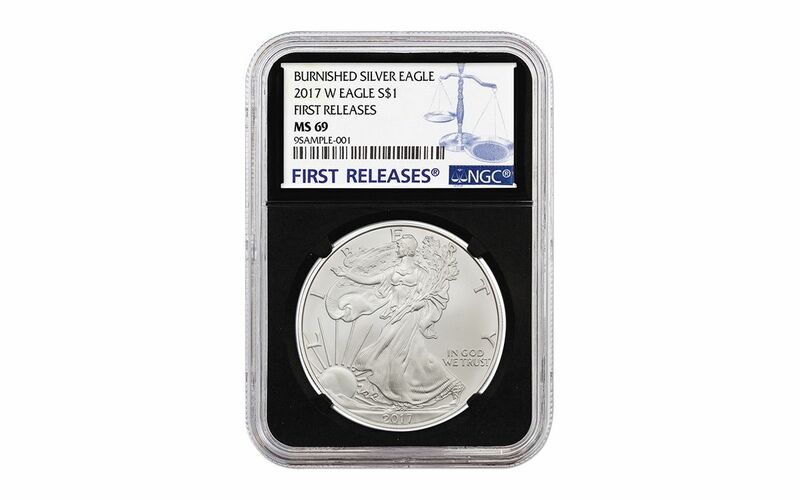 In addition, your Burnished Silver Eagle will be certified First Releases (FR) by NGC, meaning that it was among the first struck by the mint and was verified within the first 30 days of issue. Collectors seek out these coins because they are produced with new dies and considered to have sharper strikes and deeper mirrors than those that are struck later. Also, the population of coins labeled First Releases is only a fraction of the total mintage! Finally, your Burnished Silver Eagle will be sonically sealed in an acrylic case with a black core insert -- providing you the best in protection while giving you clear sightlines and perfect visual contrast for every beautiful detail. In 1987, NGC used this same color of display core when they started grading coins, switching to white as their default color soon after. Now, NGC has reintroduced this popular "retro" core color! While recent production numbers for BU Silver Eagles can be measured in tens of millions, average Burnished Silver Eagle mintages usually count in the low 100,000s. Combine those figures with this Silver Eagle's superb finish and you can see why these coins don't take up residence in our vault for long. 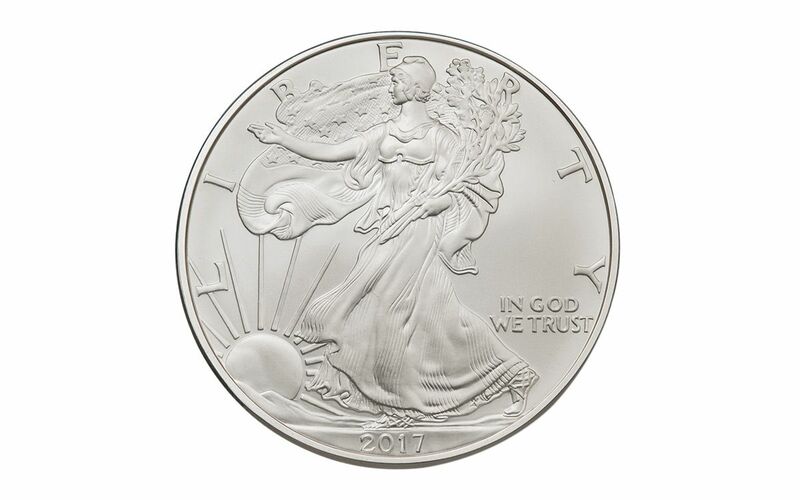 Don't wait -- make this 2017 Burnished Silver Eagle yours today!